Virginia DUI law only makes sense if it outlaws drunk driving, not something less than driving drunk. However, as a Virginia DUI lawyer, I know that the Virginia Code and caselaw allow for a DUI conviction for much less than driving drunk, thus turning logic, language and reasonableness on its head almost as much as 1+1 does not equal three. 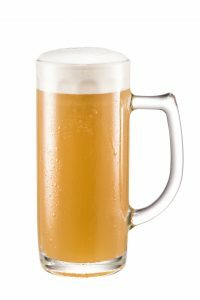 Virginia law allows for a DUI conviction for driving with a blood alcohol concentration of 0.08 percent or more by weight by volume or 0.08 grams or more per 210 liters of breath, for driving with a certain minimum statutorily-designated level of specified drugs in the blood, or for driving under the influence of alcohol, drugs, or a combination of the two. Virginia Code § 18.2-266. A person easily can reach a 0.08 blood or breath alcohol level with as few as two or three standard sized drinks, depending on their weight. What happens when the drinker does not know whether the bartender is pouring more generously than a standard size? If the blood or breath alcohol level (BAC) at the time of driving was 0.05 or less, “it shall be presumed that the accused was not under the influence of alcohol intoxicants at the time of the alleged offense. If the blood or breath alcohol level at the time of driving was over 0.05 but under 0.08, “facts shall not give rise to any presumption that the accused was or was not under the influence of alcohol intoxicants at the time of the alleged offense, but such facts may be considered with other competent evidence in determining the guilt or innocence of the accused.” Virginia Code § 18.2-269. Very sadly, for defining DUI, Virginia appellate court caselaw adopts an unrelated statute (under the Alcoholic Beverage Control Act, now codified at Virginia Code § 4.1-100) that actually defines behavior at a much lower level than intoxicated: “‘Any person who has drunk enough alcoholic beverages to so affect his manner, disposition, speech, muscular movement, general appearance or behavior, as to be apparent to observation, shall be deemed to be intoxicated.‘ … This definition if applied in all pertinent cases tends to make the law consistent, uniform, certain, stable, and fair, a much desired goal.” Gardner v. Virginia, 195 Va. 945, 954 (1954) (emphasis added). See also Ratliff v. Com , 53 Va.App. 443, 448 (2009). Unfortunately, said DUI definition is mimicked in Virginia’s model criminal jury instructions. Nonetheless, DUI cases can be winnable for the defense, starting by finding points of attack to challenge the stop of the car, the initial detention to investigate for DUI, the field sobriety tests and police questioning, the arrest, the breath or blood testing and all other relevant evidence and circumstances. For that reason, when charged with DUI, it is important to go to court with a qualified Virginia DUI lawyer. Virginia DUI lawyer/ Fairfax criminal lawyer Jon Katz has successfully defended hundreds of people charged with DUI, since 1991. To discuss your DUI or criminal case with Jon, please call his staff at 703-383-1100 to schedule a confidential appointment.